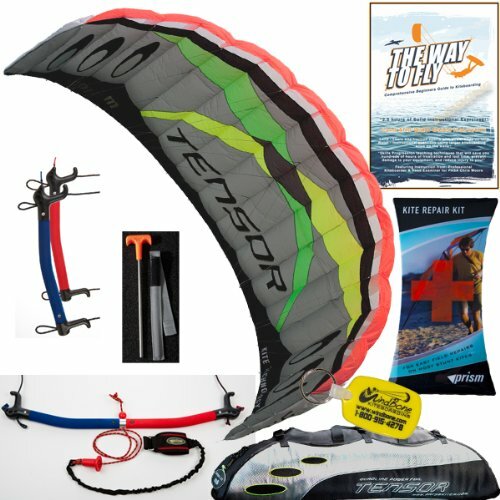 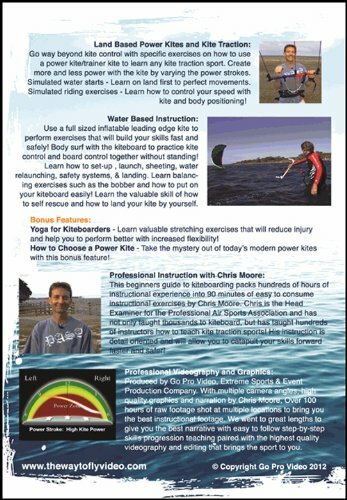 +Bundle Item #2: The Way To Fly: Beginner Kitesurfing Instructional DVD – Comprehensive Beginners Guide to Kiteboarding (Thorough DVD covering both Land and Water Based Instruction: The Way to Fly Instructional Video uses Skills and Progression teaching techniques that will save you hundreds of hours of frustration and lost time..
More than just a trainer, the Tensor makes it simple and safe to get into power kiting with a dual-line control bar, safety leash and quick release, all set up and ready to fly. 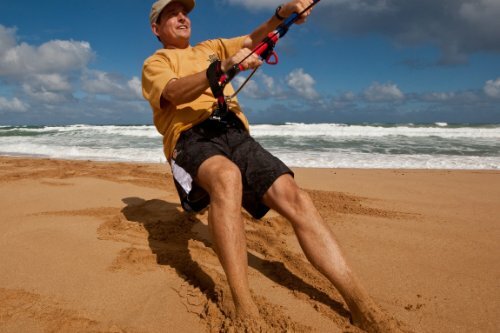 Plus Prism’s innovative convertible bar system transforms into rugged quad-line handles for the extra control and maneuverability used in traction sports like buggying, snow kiting and landboarding without spending another dime on your gear. 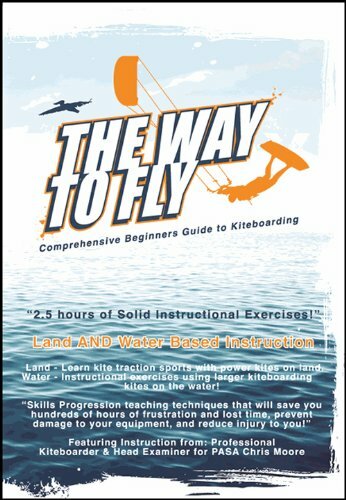 +The Way to Fly Instructional Kiteboarding DVD Comprehensive Beginners Guide to Kiteboarding Instructional DVD. 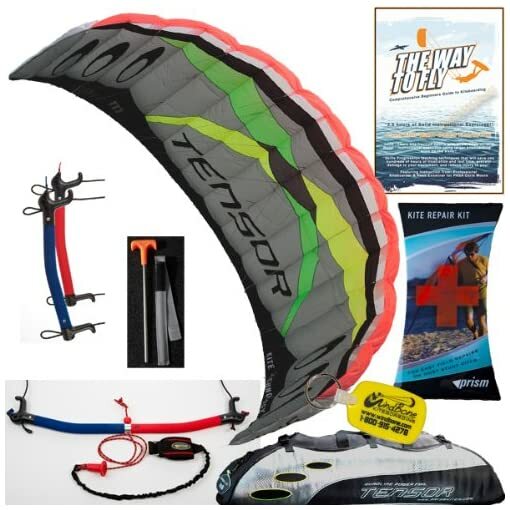 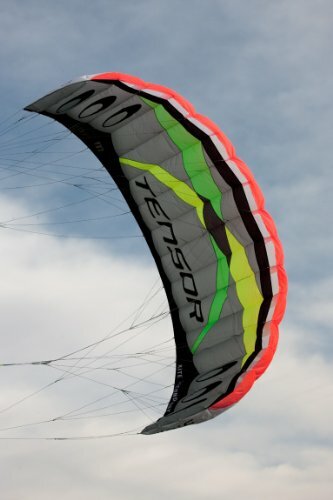 +Prism Kite Repair Kit: A handy selection of the things you need to perform common field repairs on most stunt kites. 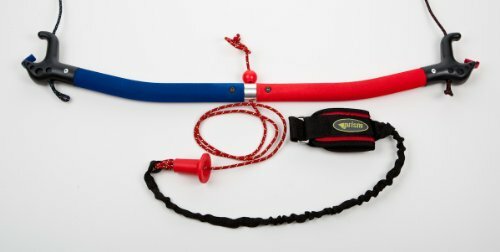 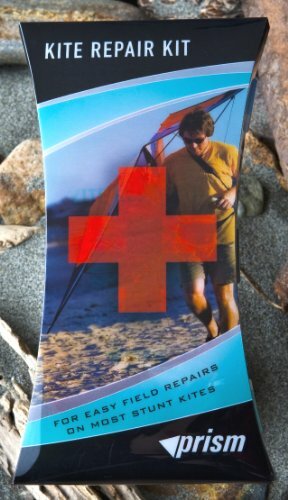 Packaged in a drawstring pouch, kit includes a handy booklet that’ll show you how to fix or improvise solutions for just about anything that can go wrong with your stunt kite – don’t leave home without it!